Analysis: The Colts haven't made many high-profile free-agent splashes under GM Chris Ballard, but it appears they've reeled in a quality piece to their pass-rush rotation. The 30-year-old Houston has racked up 78.5 sacks in only 102 career games -- including nine sacks in 12 contests last season -- and should team up with 2018 first-team All-Pro linebacker Darius Leonard to form one of the more imposing edge tandems league-wide in Indianapolis. Analysis: General manager Brett Veach said at the combine "there's a lot of dialogue" in the trade conversations for Houston. The news isn't overly surprising, as the veteran defensive end is due $15.25 million and will count $21.1 million against the salary cap in 2019. Those salary figures -- and his refusal to restructure -- make a trade difficult, so the team may have to decide whether to cut him to save costs. Analysis: Houston hit a groove late in the season, notching five sacks and 19 (13 solo) of his 37 tackles over the final four weeks. 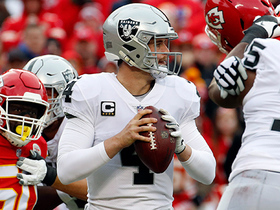 He will be relied upon as a pass-rushing presence during the Chiefs' playoff run opposite Dee Ford and is scheduled to make $21.1 million next season. With only $7.1 million guaranteed, the Chiefs have the option of letting the veteran walk or attempting to restructure his contract, but it seems likely Houston will remain in Kansas City for at least one more season. Houston recorded three tackles (all solo) and one sack during Sunday's 38-31 loss to the Seahawks. Analysis: Houston has posted a sack in three straight games. The veteran linebacker now has 7.5 sacks on the season, in addition to 32 tackles, four forced fumbles and an interception. Houston had five tackles (two solo) and 1.5 sacks in Thursday's loss to the Chargers. Analysis: Houston has been heavily active with 11 total tackles, 2.5 sacks and a forced fumble over the last two games, and he played all but seven defensive snaps Thursday. Week 16 brings a matchup with the run-heavy Seahawks on tap, one which Houston heads into with 6.5 sacks, four forced fumbles and an interception for the season. Houston recorded six tackles (four solo), 1.5 sacks and recovered his own forced fumble across 66 defensive snaps in Sunday's win over the Ravens. Analysis: Houston's strip-sack came in the final minute of regulation, giving the Chiefs any opportunity to win the game on the final play of the fourth quarter, which they ultimately failed to do. The veteran was giving the Ravens' offensive line trouble all day, contributing to a Dee Ford sack earlier in the contest. He'll look to bring the same presence against the Chargers on Thursday night. Houston had four tackles (all solo), a sack and a forced fumble in Monday's 54-51 loss to the Rams. Analysis: Houston jarred the ball loose from Rams quarterback Jared Goff in the fourth quarter, and teammate Allen Bailey then returned the fumble for a touchdown, though it still wasn't enough to stem the explosion of offenses. Houston has shown he still has playmaking abilities -- he has four sacks, three forced fumbles and an interception in seven games -- but his low tackle total of 16 makes him difficult to rely upon for IDP purposes. Houston recorded one solo tackle, one pass defended and one interception during Sunday's 26-14 win over the Cardinals. Analysis: Houston was questionable entering Week 10 due to a hamstring injury, but managed to log a full workload and pick off rookie quarterback Josh Rosen. The veteran linebacker remains difficult to trust in IDP formats due to low tackle volume, despite playing a key starting role in Kansas City's defense. Houston (hamstring) is active for Sunday's game versus the Cardinals, BJ Kissel of the Chiefs' official site reports. Analysis: Houston has missed the last four games, and he'll look to get back in the saddle against a struggling offense. The veteran linebacker made three sacks in his first five games, and he'll get a juicy matchup against Josh Rosen, who has been dropped 13 times in the last three games. Houston (hamstring) is listed as questionable for Sunday's game against the Cardinals, BJ Kissel of the Chiefs' official site reports. Analysis: Houston has been limited in practice all week, but he expects to suit up against the Cardinals on Sunday according to Adam Teicher of ESPN.com. The starting linebacker has missed four straight games due to a lingering hamstring issue, and his return would be a notable boost to the Chiefs' defense. If Houston is able to play Week 10, expect Tanoh Kpassagnon to return to a backup role. Houston (hamstring) is expected to play against the Cardinals on Sunday, Adam Teicher of ESPN.com reports. Analysis: Houston was a limited participant in Thursday's practice, but he has reportedly progressed well enough in his recovery from a lingering hamstring injury to suit up Week 10. The starting linebacker has missed four consecutive games due to the hamstring issue, and his return would be a considerable boost to Kansas City's defense. If Houston is indeed able to go Sunday, expect Tanoh Kpassagnon to revert back to a reserve role. Houston (hamstring) was a limited participant in Wednesday's practice. Analysis: Houston has missed four straight games due to a lingering hamstring injury, and his availability for Sunday's tilt against the Cardinals remains up in the air. The starting linebacker may need to log at least one full participation in practice before Kansas City clears him to return to the field. If Houston is unable to go Week 10, expect Tanoh Kpassagnon to receive an uptick in defensive snaps. Houston (hamstring) is listed as inactive for Sunday's game against the Browns, BJ Kissel of Chiefs.com reports. Analysis: Houston is set to miss a fourth consecutive game due to a hamstring issue, despite practicing in a limited fashion Thursday and Friday. Breeland Speaks is slated to fill Houston's role at outside linebacker, but the latter could return Week 10 against the Cardinals barring any setbacks. Houston (hamstring), who is listed as questionable for Sunday's game against the Browns, is considered "very unlikely to play," a source told Ian Rapoport of NFL Network. Analysis: Houston practiced in a limited fashion Thursday and Friday, but the Chiefs presumably want to see him put in a full session or two before signing off on his return to game action. With the stalwart pass rusher on tap for his fourth consecutive absence, Breeland Speaks will likely handle most of the snaps at outside linebacker opposite Dee Ford. Houston (hamstring) is listed as questionable for Sunday's game at Cleveland. Analysis: Houston has sat out the last three games with the hamstring issue, but his limited practice participation Thursday and Friday has him trending in the right direction. The 29-year-old is still likely to be a gameday decision given his recent absences, with Tanoh Kpassagnon ready to again start at outside linebacker should Houston be inactive. Houston (hamstring) was a limited participant in Thursday's practice, BJ Kissel of the Chiefs' official site reports. Analysis: Houston has missed three straight games due to a lingering hamstring injury, but his limited participation in Thursday's practice is a step in the right direction. It remains to be seen whether Houston will suit up for Sunday's game against the Browns, and Tanoh Kpassagnon will start at outside linebacker if Houston is unable to go. Houston (hamstring) is inactive for Sunday's game versus the Broncos, BJ Kissel of the Chiefs' official site reports. Analysis: As expected, Houston will miss his third straight game. He sat out of practice twice this week, so he may not be that close to returning, either. In his place, Tanoh Kpassagnon will start at outside linebacker. Houston (hamstring) carries the doubtful tag ahead of Sunday's matchup against the Broncos, BJ Kissel of the Chiefs' official site reports. Analysis: Houston sustained the hamstring injury in Week 5 and hasn't played since. The linebacker didn't practice Wednesday or Thursday, thus putting his status in doubt. If Houston misses another game, Tanoh Kpassagnon will likely get the nod to start. Houston (hamstring) didn't practice for the second consecutive day Thursday, Brooke Pryor of The Kansas City Star reports. Analysis: Houston has not seen the field since Week 5, when he originally suffered the hamstring injury. The fact that Houston has been unable to practice this week is evidence that he's in danger of missing a third consecutive game. 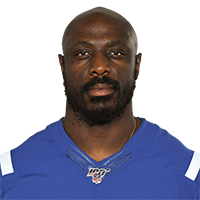 If the former All-Pro is unable to suit up, Tanoh Kpassagnon is expected to draw the start at linebacker. The Chiefs should make a definitive call on Houston's availability later in the week. Houston (hamstring) is inactive for Sunday's game against the Bengals, BJ Kissel of the Chiefs' official site reports. Analysis: Houston was unable to participate in practice at all leading up to the Week 7 contest, so his lack of availability is no surprise. Tanoh Kpassagnon is expected to slot into the starting lineup in Houston's stead. Houston (hamstring) is listed as doubtful for Sunday's game against the Bengals. Analysis: Houston didn't participate in practice all week, so all signs point to the edge rusher missing a second straight contest. With fellow outside linebacker Tanoh Kpassagnon (ankle) deemed questionable, Breeland Speaks could draw another start opposite Dee Ford. Houston (hamstring) was a non-participant in Wednesday's practice. Analysis: Houston's lack of availability in practice is no surprise, considering that the linebacker did not appear anywhere close to suiting up for Sunday's loss against the Patriots. As long as Houston remains sidelined due to a nagging hamstring injury, expect Frank Zombo to continue taking increased defensive snaps. Houston (hamstring) has been ruled out for Sunday's game against the Patriots, BJ Kissel of the Chiefs' official site reports. Analysis: As expected, Houston will not be active for Sunday's primetime affair against New England while he continues to work through a hamstring injury. Frank Zombo should see some extra work at outside linebacker in Houston's absence. Houston (hamstring) is listed as doubtful for Sunday's game against the Patriots, BJ Kissel of the Chiefs' official site reports. Analysis: As Andy Reid said Wednesday, Houston is unlikely to suit up for Sunday night's matchup in New England while he continues to nurse a hamstring injury he suffered last week against the Jaguars. Frank Zombo is in line to see additional snaps at outside linebacker in Houston's likely absence. Coach Andy Reid told reporters Wednesday that it would be a "stretch" for Houston (hamstring) to suit up for Sunday's game at New England, Mike Garafolo of NFL Network reports. Analysis: Things don't seem to be trending in a direction that point to Houston playing Sunday. Unless something changes, expect Houston to be a spectator for Sunday's primetime showdown. If that's the case, Frank Zombo could work his way into the starting mix. Houston's (hamstring) appears unlikely to play Sunday against the Patriots and could be sidelined for multiple games, Mike Garafolo of NFL Network reports. Analysis: Houston left Sunday's contest against the Jaguars with a hamstring injury and was unable to return. 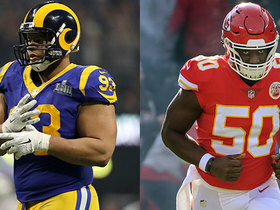 Kansas City's defense will have a tremendous hole to fill if Houston does indeed miss an extended period of time, as the Pro Bowl linebacker already has three sacks on the season. Tanoh Kpassagnon (ankle) likely will see an increased workload if Houston's injury is as serious as Garafolo reports. Houston is questionable to return to Sunday's game with a hamstring injury. Analysis: It remains to be seen just how severe the hamstring issue is going to be. For now, the questionable designation suggests the Chiefs aren't overly concerned but will exert proper caution to ensure Houston doesn't worsen the injury. With Houston temporarily sidelined, Breeland Speaks could slide into the outside linebacker spot with Tanoh Kpassagnon (ankle) also yielding a questionable status. Houston recorded two tackles, both solo, and a sack across 58 defensive snaps in Monday's win over the Broncos. Analysis: Houston now has three sacks in the past two games and should be given more IDP consideration because of it, especially with the possibility of Dee Ford (groin) being held out of the contest. He'll look to keep the sack streak alive Sunday against the Jaguars. Houston racked up five tackles, two sacks and two forced fumbles during Sunday's 38-27 win over the 49ers. Analysis: Houston logged an impressive performance for against San Francisco, playing a key part in Kansas City's victory. The 29-year-old is worth considering in IDP formats, but seems to lack a solid weekly floor. Houston notched a sack and two tackles (both solo) during Saturday's wild-card loss to the Titans. He finished the 2017 regular season with 59 tackles (46 solo) and 9.5 sacks. Analysis: Although Houston's numbers have dipped over the last couple of seasons due to injury, he returned to form in 2017, nearing double-digit sacks over 15 games. 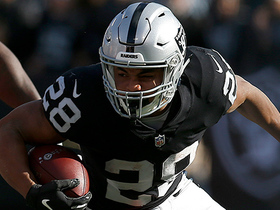 Still just 28 and under contract for the next three seasons, the seventh-year pro will almost certainly resume his role with the team next season. If he manages to stay healthy again, it wouldn't be surprising if Houston reaches or tops 10 sacks for the first time since 2014. Houston (illness) is active for Sunday's game against the Dolphins, BJ Kissel of the Chiefs' official site reports. Analysis: Houston missed some practice time this week due to illness but was never thought to be in significant danger of missing Sunday's game. He'll be expected to see his usual role along the defensive front. Houston (illness) is listed as questionable for Sunday's game against the Dolphins, BJ Kissel of the Chiefs' official site reports. Analysis: Houston tended to an illness for the second day in a row Thursday, missing practice yet again. On a positive note, head coach Andy Reid told Terez A. Paylor of The Kansas City Star that Houston should "be able to go" this weekend. With a 1 p.m. ET kickoff Sunday, Houston's status will be known with plenty of time to search for another pass-rush option in the event he doesn't suit up. Houston did not practice Thursday due to an illness, Terez A. Paylor of The Kansas City Star reports. Analysis: There doesn't appear to be much concern surrounding the bug Houston is fighting, as the team is likely taking a cautious approach with its linebacker. Should Houston be able to return to the practice field Friday, he'll likely be good to go for Sunday's contest with the Dolphins. 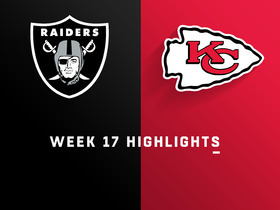 Houston had five tackles (three solo) and a sack in Sunday's 26-15 win over the Raiders. Analysis: The sack brings his season total to 9.5, and was a bounce-back performance from Week 13 when Houston failed to record a single tackle. A matchup against Philip Rivers and the surging Chargers awaits Saturday. Houston recorded four tackles (three solo) and one sack during Week 12 against the Bills. Analysis: Houston's sack pace has slowed after a hot start to the season, but he returned to the column after a couple of weeks without one. The 28-year-old outside linebacker remains a nearly every-down player, playing 90 percent of the team's defensive snaps Sunday. He should have a decent opportunity to add to that total next week against a Jets offensive line that has allowed 35 sacks so far this season. Houston (knee) is active for Sunday's game against the Cowboys, BJ Kissel of the Chiefs' official site reports. Analysis: Houston's absence from Friday's practice caused worries about his health, but it likely was just a maintenance day. Although he's averaging under five tackles per game, Houston has racked up 7.5 sacks through eight games. He'll have a tough task pressuring Dak Prescott, who has been sacked on just 3.8 percent of his dropbacks, ranking seventh in the league. Houston (knee) is listed as questionable for Sunday's game against the Cowboys. Analysis: Houston was held out of practice Friday, but there's a legitimate chance his absence was merely maintenance-related. He was also listed questionable prior to the Week 8 game against the Broncos and went on to play and match his season high with two sacks. 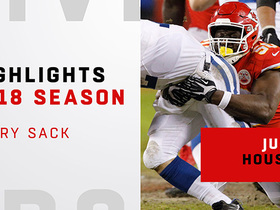 Watch every sack by Indianapolis Colts outside linebacker Justin Houston during the 2018 season with the Kansas City Chiefs. NFL Network's Terrell Davis and Reggie Wayne find team fits for some of the top remaining free agents. 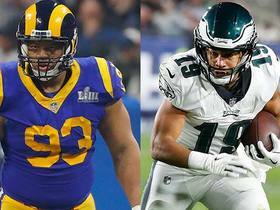 NFL Network's Gregg Rosenthal finds team fits for some of the top remaining free agent. 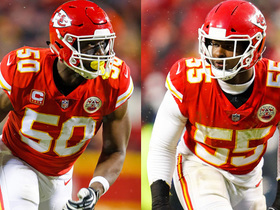 NFL Network's Tom Pelissero explores what the Kansas City Chiefs could do with defensive lineman Dee Ford and linebacker Justin Houston moving forward. 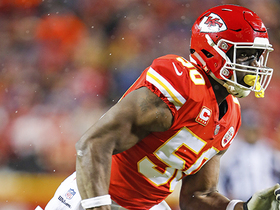 NFL Network Insider Ian Rapoport chats about the possibility of the Kansas City Chiefs trading away linebacker Justin Houston. 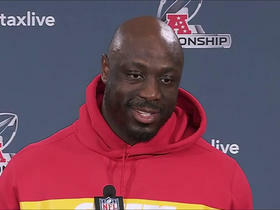 Kansas City Chiefs linebacker Justin Houston reacts to New England Patriots quarterback Tom Brady's postgame comments after their AFC Divisional Round win. 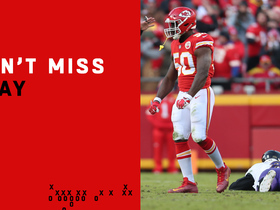 Kansas City Chiefs linebacker Justin Houston delivers a clutch strip-sack on Baltimore Ravens rookie quarterback Lamar Jackson.